Delta Search is a Search Engine program which shows ads and other sponsored links on webpages. The Program is mainly promoted via Free Downloads, and once it is installed on your computer it will hijack your computer and will replace your browsers homepage with Delta Search Engine. Its really riddiculas as every time you open a new tab it opens Delta Search Engine Home Page with lots of ads. It spoils what you are looking for. I had an experience of this Delta called Embarrasing Thing, Well if you are facing this problem then you are at right place. 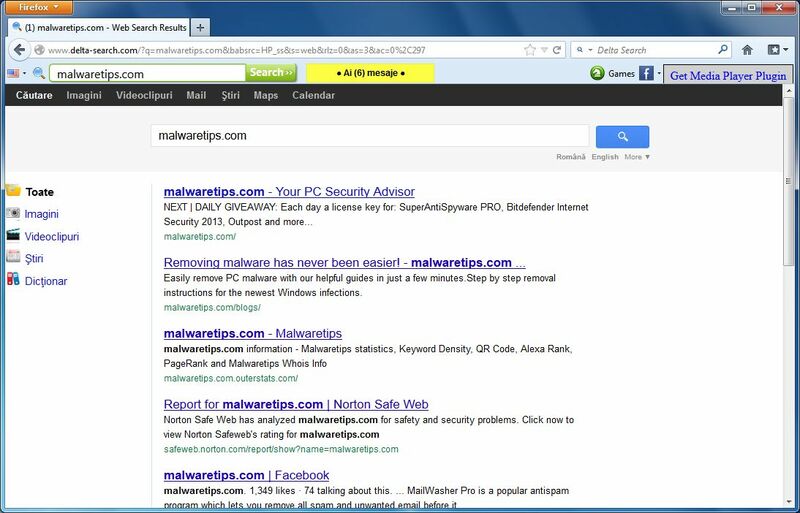 There are very simple methods by which you can completely remove Delta Search Engine from your Browsers as well as from your computer. Step 1 : Remove Delta Search Engine from your Computer. 1. Go to Start > Control Panel > Go to Uninstall a Program. Find the software you have downloaded or you can also find "Delta Search Toolbar" or something like that. 2. Double Click it and Uninstall quickly. That's it you have removed it from your computer but still its not 100% removed from your computer, you have to remove it from your browser and registry files manually. 1. Go to Control Panel > Network and Internet > Internet Options. In the Home Page section you will see Delta Search Engines Home Page URL, just remove it or hit "Use Blank" click "Apply" and then "OK"
2. Now go to "Programs" Click "Manage addons" then click "Search Providers" you will get there Delta Search , just right click it and hit "Remove"
1. Go to Chrome Menu > Tools > Clear Browsing Data > Tick all the boxes > Hit "Clear Browsing Data"
3. Go to Menu > Settings > in Search Section , Click "Manage Search Engines" then you will find "Google Search Engine" After hovering your mouse on it, just click "Make It Default" now there is also "Delta Search Engine" just move your mouse on it and hit "X" that's it you have removed Delta Search Engine from Google Chrome Successfully ! Now just install it and hit "Delete" and if it prompt then hit "OK"
It will restart your computer to take some changes. Now you can keep it or Uninstall it by clicking Uninstall. Result : You Have Removed Delta Search Engine From Your PC Successfully ! That's it ! You have Successfully Removed Delta Search Engine from your Computer ! Don't forget to Share This Post and Stay Connected With Us by Subscribing via Email.